MSA Security is where our nation’s best defenders are trained. 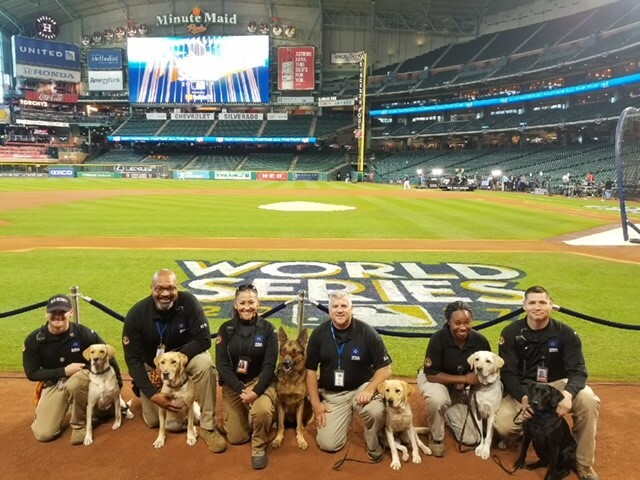 With an uncompromised commitment to comprehensive best-in-class training of our canines and handlers, MSA delivers an unrivaled and nationally-certified Windsor Team that keeps millions of people safe across the globe. You’ll find MSA Windsor Teams working everywhere sniffing out potential threats from both stationary and mobile explosive odors in professional sports stadiums, airports, amphitheaters, cargo facilities, loading docks and more. 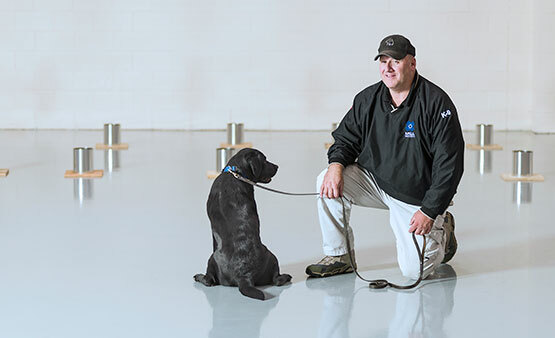 Our highly-successful program is rooted in an unmatched training philosophy and the unique-to-the-industry focus on the development of single purpose, single handler teams that are trained exclusively in explosive odor detection. With over 650 company-owned canines and certified EDC teams deployed globally, a Windsor Team is far and away the most effective way to detect explosives in active environments – regardless of how that threat is presented. Our dogs are imprinted, methodically trained and well equipped to detect explosive odor and follow it to its source when presented in stationary forms, on person or in air. MSA Security Windsor Teams consistently meet the highest certification standards that are specific and unique to multiple government agency clients. 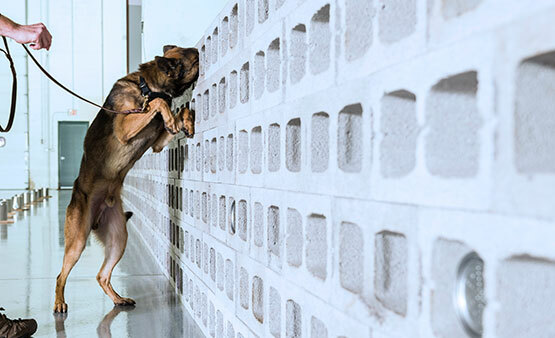 Using live explosives during imprinting and training is the single most effective way of teaching canines to sniff out today's threats. The MSA Windsor Program imprints on all five families of explosives and HMEs with a strong commitment to counter contamination. MSA was one of America’s first to be certified and designated by the U.S. Department of Homeland Security SAFETY Act. MSA dogs are never kenneled once put to work; living with their designated handler and training daily. MSA's comprehensive operational training phase focuses on specialty modules that directly reflect specific field utilization. MSA voluntarily administers the Department of Justice National Odor Recognition Test (DOJ NORT) and provides ongoing training for EDC teams including explosive identification classes to address the evolution of HMEs. MSA's Windsor teams are a rare combination of experienced bomb technicians, dog training professionals and an industry-recognized forensic explosives chemist. World-class bomb dogs aren’t born, they’re made. From our canines to our handlers to our training facilities, MSA consistently meets the highest level of performance standards. As a result, you’ll find MSA Windsor Teams deployed in some of the world’s most targeted areas. When it comes to bomb dogs, not all breeds are the same. MSA dogs are carefully-vetted sporting breeds, selected for their keen sense of smell, drive, intelligence, stable temperament and eagerness to please. By selecting only the best of the best, MSA canines have longer and more successful explosive detecting careers. MSA’s full-time team of EDC handlers carries both military and law enforcement backgrounds. 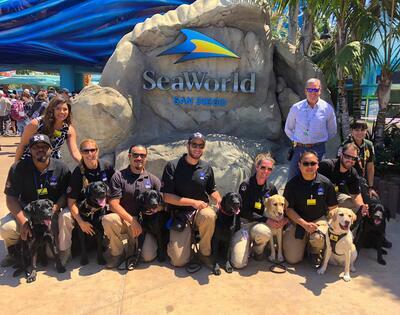 Before they begin working with MSA dogs, they undergo extensive training in Explosive Detection, Counter Surveillance and Behavior Pattern Recognition. They receive continuing education and training to successfully address the ever-evolving threat of IEDs. Where Do MSA Dogs Live? 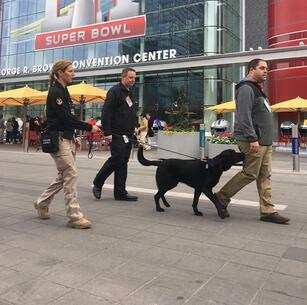 Unlike other providers, MSA bomb dogs are never kenneled or used by multiple handlers once put to work. They live at home with their handler and receive daily training. This improves their temperament and makes them far more effective at work.